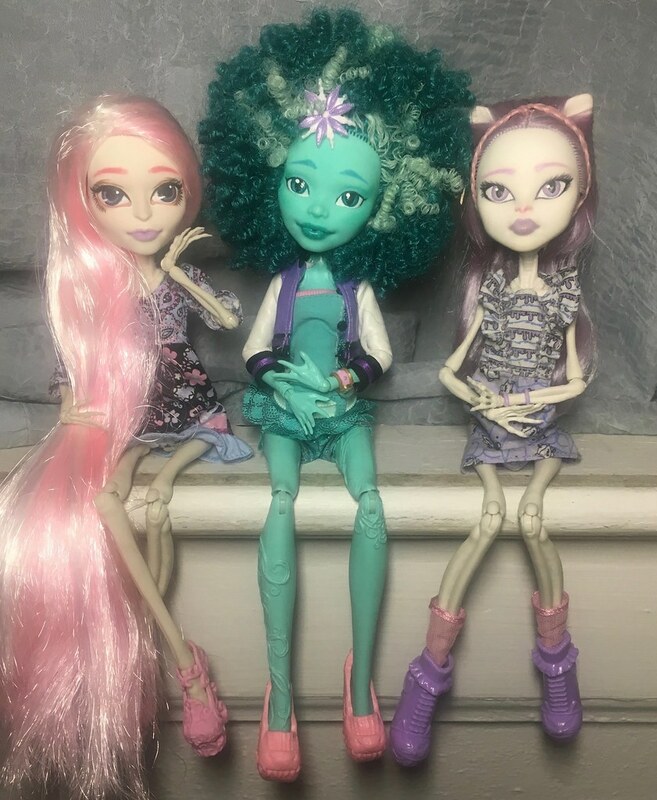 This thread will mostly be for pics of my MH and Barbie dolls (most of whom are customized) I figured I should get better at photography so I might as well start practicing. An oldie but a goodie: Allie posing in our lemon tree. And one more. 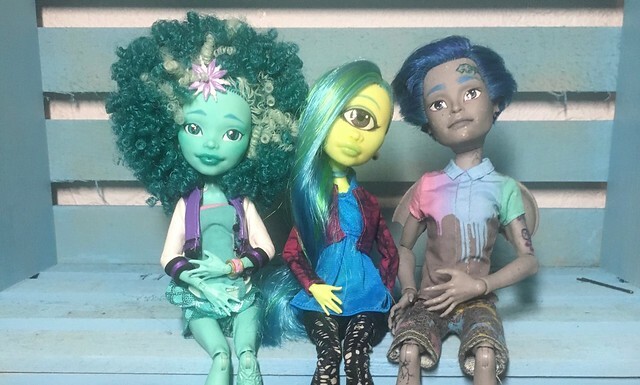 Here's my favorite customs posed together in coordinating outfits. From L to R it's Rosita, Allie, and Curiosity. (You probably recognize most of them from my avatar/sig lol) Can you tell how much I love skeletons? And pastels? Crap lighting but I was taking this at night lol sorry. Niiiiiiice! Love Rosita...what head does she have? And whose shoes? Photography: Shahaila does a great job with indoor photography. Also, have you adjusted your white balance settings? You could also use something to 'bounce' light...a piece of white posterboard could work. Love the lemon tree photo with Honey. And the customs are all great. Great ideas! And Rosita is a rerooted/repainted Skelita. She's wearing Viperine's dress and Scaris Rochelle's shoes. Ah! With her new face up, I couldn't place the head shape and thought she'd had a head transplant from someone. Very pretty, really love her eyes/eyebrows.